The objective of this alliance is contribution in the development of high-value agribusiness type of activities (African Palm, Cacao, Rubber). As of December 2008, a cumulative total of 101,446 hectares of licit crops were supported, benefiting 244,591 families, and generating 187,035 full time equivalent jobs. A USAID program called MIDAS sought the long-term transformation of rural Colombia through private sector-led, demand-driven productive investment and social capital formation. MIDAS comprised of four components that fostered private sector development, integrated vulnerable and resource-poor populations, strengthened enabling environment in six corridors (Antioquia, Atlantic coast/Sierra Nevada, Eje Cafetero, Macizo/Putumayo, Magdalena Medio) and the South West, where the potential for crop diversification was high. MIDAS strengthened the capabilities of farmers and producer organizations with effective technical assistance to attain the highest possible crop productivity; facilitated access to credit; provided improved planting material; and helped identify and link farmers to local and international markets. Target crops included: cacao, oil palm, specialty coffee, and other horticulture and fiber crops. 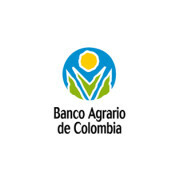 Colombia's Banco Agrario is a state-run agriculture development bank whose purpose is to develop traditional commercial banking operations, and to finance mainly but not exclusively, activities related to the rural, agricultural, livestock, fishing, forestry and agro industrial sectors. The bank was founded in 1999 and is based in Bogota, Colombia. Banco Caja Social is a company of the Social Foundation through its banking business to contribute in overcoming the structural causes of poverty in Colombia to promote, supportive, productive and peaceful, raison d'etre of the entire Organization just society. Companies in the Social Foundation are considered instruments of social intervention in themselves, which are based on commitment and adoption of socially responsible management, inherent in its business activity. Production of goods and services to satisfy strategic needs for the development of society and the inclusion of popular sectors that are not served by the traditional offer. Be conducive to peaceful coexistence and development of its employees social organizations. Active participation in the construction and creative solution of the major social problems, with a high concern for the common good. Thus the Bank Social Fund has been directed, for 100 years, to the provision of financial services to lower-income segments of the Colombian population, ie, to the mass market with emphasis on the attention of popular sectors, entrepreneurs and small and medium enterprises, contributing to national development and economic and social progress of these people and their families. 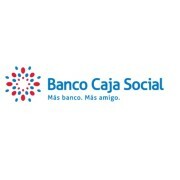 Through its network serves various financial needs of the population: Banco Caja Social has specialized in designing financial solutions for popular markets, microentrepreneurs and small businesses; meanwhile, it has focused the attention of the business, the real estate industry and different market segments of people. Banco Caja Social has 4.8 million total customers and a presence in 63 cities with 263 offices, 4 extensions, 2 servicajas and payment center, more than 600 ATMs and more than 3,000 own Banking Correspondents. Its total assets total about $ 10.2 billion in January . CIAT is an agricultural research institution. They focus on scientific solutions to hunger in the tropics. They believe eco-efficient agriculture—developing sustainable methods of food production—is the best way to eradicate hunger and improve livelihoods in the region. CIAT is also about partnerships. By working together with likeminded organizations they ensure they have a far-reaching and long-lasting impact. CIAT is a leading not-for-profit organization and they have been helping smallholders grow more food and earn more money for 40 years. 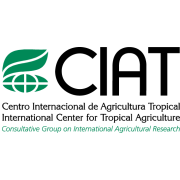 Established in 1970, as one of the four original research centers in the Consultative Group of International Agricultural Research (CGIAR), CIAT now works in more than 50 countries worldwide. CIAT has its headquarters near Cali, Colombia, with regional offices in Nairobi, Kenya, and Hanoi, Vietnam. Center scientists work in Latin America and the Caribbean as well as 29 countries in sub-Saharan Africa, and 5 in Southeast Asia. Their collaborative efforts in these regions have generated important research achievements with substantial development impact. CIAT's global research contributes to several of the United Nations’ Sustainable Development Goals, and cuts across four key themes: big data, climate-smart agriculture, ecosystem action, and sustainable food systems. CIAT has global responsibility for the improvement of two staple foods, cassava and common bean, together with tropical forages for livestock. In Latin America and the Caribbean, we conduct research on rice as well. Representing diverse food groups and a key component of the world’s agricultural biodiversity, those crops are vital for global food and nutrition security. In its work on agrobiodiversity, the Center employs advanced biotechnology to accelerate crop improvement. Progress in our crop research also depends on unique collections of genetic resources – 65,000 crop samples in all – which we hold in trust for humanity. Alongside its research on agrobiodiversity, CIAT works in two other areas – soils and decision and policy analysis – which cut across all tropical crops and production environments. Center soil scientists conduct research across scales – from fields and farms to production systems and landscapes – to create new tools and knowledge that help reduce hunger through sustainable intensification of agricultural production, while restoring degraded land and making agriculture climate smart. CIAT’s work on decision and policy analysis harnesses the power of information to influence decisions about issues such as climate change, linking farmers to markets, research impact assessment, and gender equity. 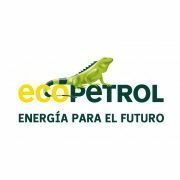 Ecopetrol, formerly known as Empresa Colombiana de Petróleos S.A. is the largest and primary petroleum company in Colombia. It was founded in 1951. Ecopetrol S.A. carries out hydrocarbon exploration activities in 32 blocks of Colombian territory directly. In other 15 blocks the company participates in risk with other companies. One of these last blocks is the Tayrona block, located offshore in the Colombian Caribbean. We find and converted energy sources into value for our customers and shareholders, ensuring the integrity of peoples, the safety of processes and protection of the environment, contributing to the welfare of the areas where we work, by means of committed personnel who seek excellence, integral development and the development of long-term relations with interested parties. Protect the interests of Colombian cocoa farmers contributing to their development, offering products and services for commercial, scientific, technological, social, environmental, cultural and rural extension, national and international levels, for strengthening the sub-cocoa sector. Meet needs COCOA community and other stakeholders through the productive and social development of the cocoa farmers, protection of the environment, the welfare of workers in the development of activities, products and services provided by FEDECACAO, comply with legal requirements applicable and continuously improving the management system.